I wanted to be able to eat everything at Little Miss' party. So I baked everything at Little Miss' party. Gluten-free of course. 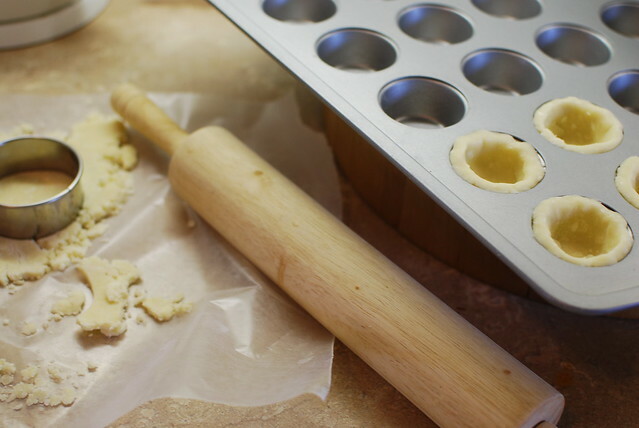 I rolled out chilled dough to about 1/4 of an inch thick, punched out circles with a cookie cutter, and then pushed them into mini muffin tins. 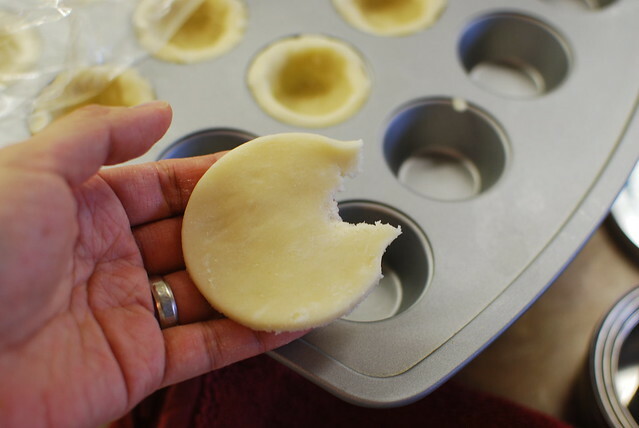 To get the circles into the concave muffin mold, I made a Pac-Man of sorts. Join the "mouth" edges, and push that little guy (who is now like a cone) into the mold. Press down on all sides, and presto, fast and easy, tartelette crust. I just used a traditional pastry cream recipe and used gluten-free flour again, for regular flour. I almost forgot that real vanilla beans truly are heaven. 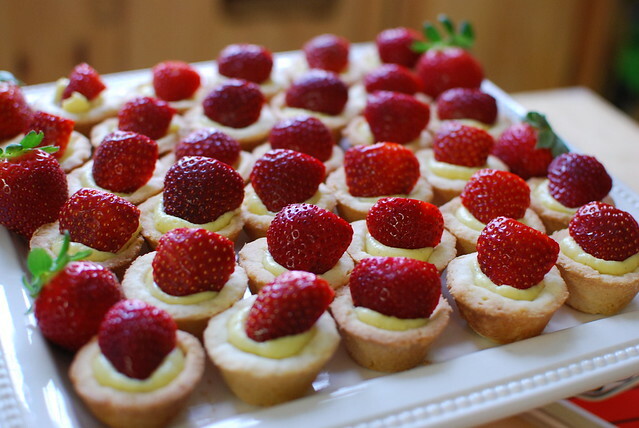 Fill that tartelette crust with a bit of cream, top it with a fresh strawberry and pop it in your mouth, only to remember you forgot to take a picture of it. Good thing I made 47 more.